To begin, I painted the AC cardstock with gesso by using a recycled gift-card. Once that is all dried, I diluted the blue paint with lots of water so that it will be subtle and the blue wouldn't scream for attention. I wanted the blue paint to represent the "sea". By applying gesso, it will also create some kind of resist to the diluted blue paint. I absolutely love the effect. Next what I did was to position the photos in the middle and begun to adhere embellishments all around the photos. 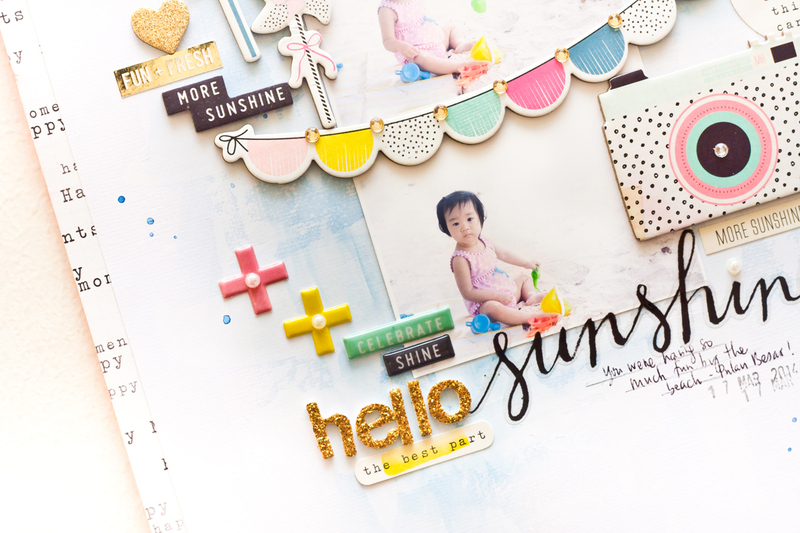 I found a lot of summer related embellishments in the Bloom collection which I absolutely adored! Perfect colours with the photos as well. 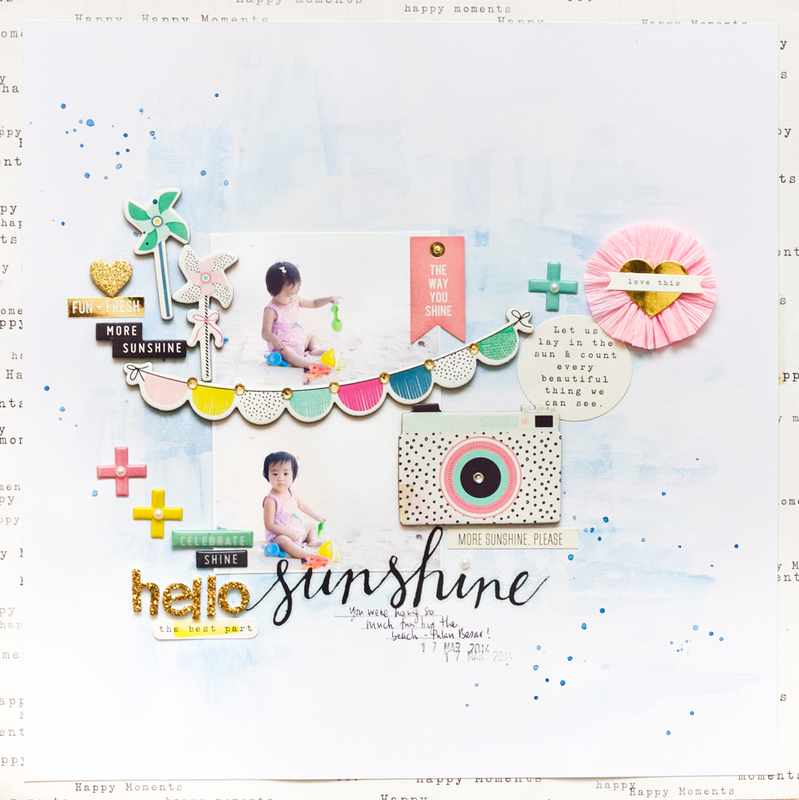 Once I'm done with all the placement of the embellishments, I completed my layout with some splatters of the blue paint and a short journaling. I hope you will have a wonderful time this summer and take lots of photos! Happy Summer! 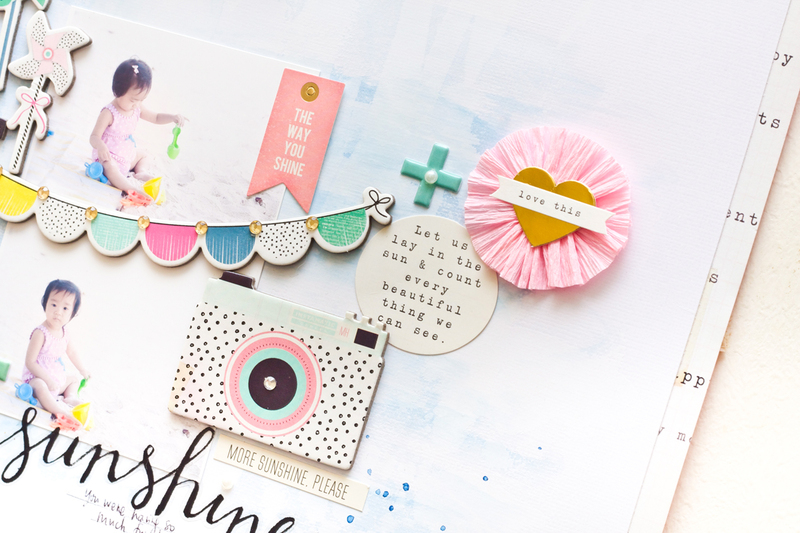 beautiful layout, I love the paper rosette and the colors, of course! !